The first updates to Google Play Services v9.0 began rolling out a full two weeks ago, but with no notable user-facing features and nothing to report in a teardown, it remained a fairly quiet update until today. 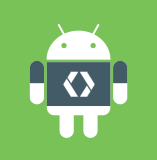 Google just put up a blog post with details of what's new in the framework, and it's all about the developers. This is the first major update to Play services since December, and it's actually pretty small compared to other releases in recent history. Only four major APIs affected. This version adds an API for in-app video recording, updates Nearby to make permissions a bit easier, and gives a few improvements to both the Ads and Player Stats APIs. This is the one new API in the batch. It will allow developers to easily provide screen recording within their apps. It's already possible to do screen recordings with the use of YouTube Gaming, but the setup process could be more intuitive and it comes with a set of features that may not make sense for every app. This API will make it easier for developers to put their own spin on the experience and control the content that appears in the final recording. Google's blog post also notes that live streaming to YouTube will also be added to this API in the future. A pair of simplifications were made for the Nearby API which may cut down on the number of permissions or requests necessary to use certain features. The first change allows for developers to scan for BLE beacons if their apps have the ACCESS_FINE_LOCATION permission. If they do, scanning does not require additional permissions. The other change comes to the initial opt-in request for apps that want to use Nearby. Developers can now trigger the opt-in dialog as a part of their GoogleApiClient connection request, which saves a fair amount of code that would otherwise handle various setup and error conditions. The Player Stats API can now provide even more predictions about player behavior, specifically if they are going to spend or churn. The new features analyze groups of players to make assertions about their likelihood to spend money in a game over the next 28 days and if they are likely to be big spenders. For apps that make money on advertising, there are actually some pretty worthwhile improvements to this API. A new format called Native Ads Express allows developers to write a CSS template for their ad units. These templates are combined with the assets from advertisers to adjust their appearance. This can allow apps to display ads that look a bit less out of place and more like they belong in the interface. The rollout of Play services v9.0 should be complete by now, but if you need the apk, all of the latest variants can be found on APK Mirror.